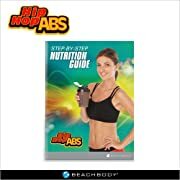 This section is filled with great DIY Home Gym Design and Decorating Ideas showing you how to set up, equip and decorate a home gym with all the essentials and accessories you need for your home fitness program. Having a home gym is a good motivator for getting in shape and getting healthy. 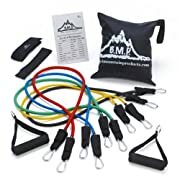 You have decided to set up a home gym but don't want to spend thousands of dollars doing it. You are pretty handy with tools and decorating and know you can set up a personal work out studio that works for you. You can set up a gym for very little cost. You need to find a room or area of your home you can use, outfit it with the right equipment and make it pleasing to your eyes. 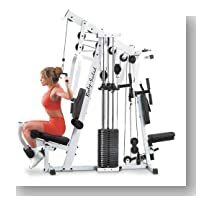 Your home gym design should reflect your personality while being set up for maximum usability. You want your home gym to inspire you to work out. So from the rubber floor mats to the multi-functional equipment, every detail should be considered when designing your home gym. But where do you start? Begin with these tips on how to design the space for your home gym. 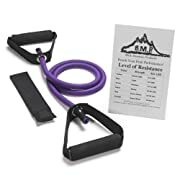 Before buying any equipment, consider what types of exercise you will be doing. Will you be working out to lose weight and tone up? Then you will need a treadmill or elliptical trainer. Or do you want to build muscle? You will need free weights and a weight machine. Or are you wanting to learn yoga and meditation? You may need free weights or a weight machine. You might need resistance bands or a multi-station gym. You might need a rubber mat for floor exercises or a pull up bar. Just consider your needs before you begin filling your room. Every goal might call for a different type of equipment or space so know what you want before you begin your home gym DIY project. Figure out what it is you want to achieve. Make sure the equipment you buy fits with your fitness goals. A home gym can be created on any budget. 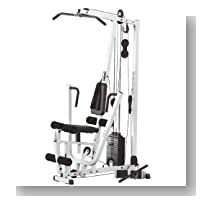 For instance, those on a tight budget can opt to purchase basic equipment to use in their gym. 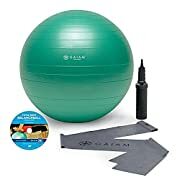 A simple stability ball, workout video and resistance bands can be purchased for under $50. With these tools you can design a great routine to work most of your muscles. 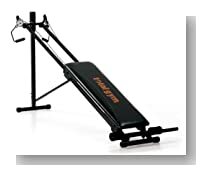 In the mid range budget, a quality treadmill or elliptical trainer machine can do the work. Adding this to the basic needs, you will add variety to your routine. Don't buy expensive equipment right away. Use items you have around your home as an alternative. For instance, for weight lifting, use cans of beans for light weights or milk or laundry bottles filled with water or sand for heavier weights. Chairs and benches work well for push-ups or dips while a simple bath towel can be used for resistance training exercises. If you don't have the equipment you need and can't or don't want to purchase it now, make it. Will you be using several different pieces of large equipment? Do you need room for dancing and other types of aerobics? Will you need a Pilates bar or room for your free weights? 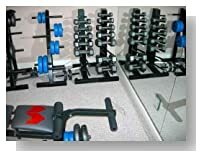 Knowing what type of workout equipment you have or will be purchasing will help you determine the size and a layout design for your room. Ensure that you have enough room to arrange your equipment properly. Make the most of your space, no matter how small or large, by arranging your equipment for the best use of the space. Tall and heavy machines need to be place close to walls to keep floor space open and uncluttered. 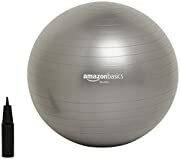 The center of the room is best used for small equipment like free weights, resistance bands and balance balls. 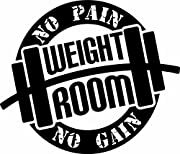 Make sure there is enough ceiling height if your will be lifting weights over your head or doing pull ups. There should be enough space to easily move around your machine. 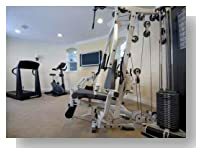 When designing your home gym, your layout and the type of exercise equipment you have will determine how spacious and inviting the space will be. Layout out the placement of your equipment in a way that works for your routine. Avoid crowding machines and small equipment and be sure to leave space for walking. Placing your heavy equipment strategically will keep your space from feeling like an awkward closet. One way to keep your space from becoming crowded is to use multi-functional equipment that provides what you need for a well rounded workout. Avoid clutter by arranging these bulky machines close to walls so the center of the room is kept open and free for walking or aerobic exercise. It is a good idea to make a floor plan of your space before you begin bringing anything into the area. You can use a simple drawing of the rooms perimeter and window and door placements. Use small pieces of paper to represent your equipment. Move the pieces around until you are happy with it. The room should flow well from one piece of machinery to the next work out station. Different training routines require different layout needs. For example, circuit training requires you to do different exercises quickly. 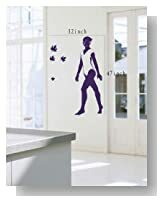 So for instance, you will need a place for jogging in place, a weight lifting area, a place for stair stepping and a place for resistance bands. Provide plenty of shelves, lockers or drawers for all the small equipment you use. Have benches or small tables for holding water bottles or a small refrigerator to store extra power drinks. Put hooks on the wall to hang some accessories like skipping ropes, resistance bands or towels. 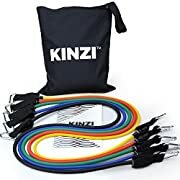 Before you purchase anything, find out what others are using in their home gym set up by reading their customer reviews. Not all machine will adjust to fit all sizes. 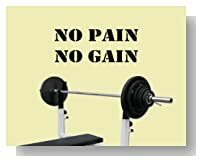 Remember not all home gym equipment is right for you. Putting together your home gym essentials doesn't have to cost a lot, but you should look for quality. As long as you stick with a proven equipment needs list you can't go wrong. 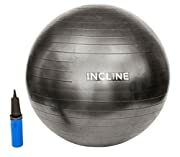 Inflatable stability balls and medicine balls run about $25 and come in a choice of sizes that is right for you. 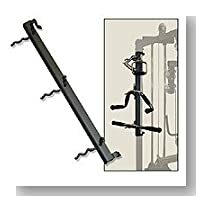 Adjustable chin-up bars can be put into most doorways. 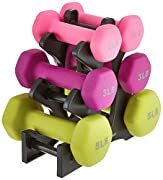 Simple dumb bells in weights ranging from 5 to 25 pounds are an inexpensive buy. There are several kinds to choose from, from the cheap to the elaborate. They all fall into one of two types: fixed weight or handles only. 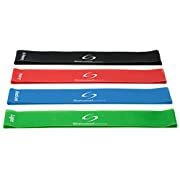 Highest Quality Athleema Set of 3 Loop Bands (Light, Medium, Heavy) 10" X 2" the Best Exercise Loop Resistance Bands for Any Workout. 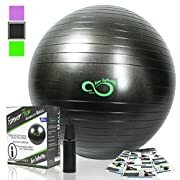 Great for Home Gyms, Yoga, Pilates, Physical Therapy. 100% Natural Latex. A home gym needs a good bench. 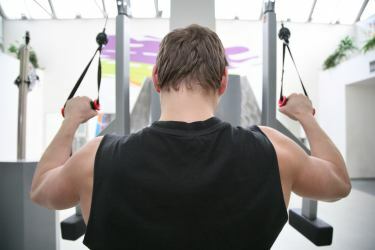 Benches can be used for presses and one-arm rows. It should be at least 2 feet or 3 feet wide and sturdy. 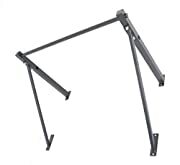 A chin up bar can be constructed out of any material that will support your weight. 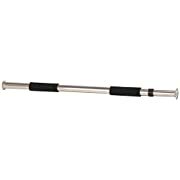 Or you can find a chin up bar priced reasonably for $10 to $40. 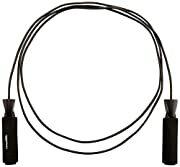 Limm Jump Rope - Perfect for All Experience Levels, Cardio, Cross Fitness and More - Easily Adjustable - Best Exercise for Weight-Loss & Heart Health - Bonus eBook - Start Enjoying The Comfort Today! For a more intense workout or if you don't have access to stairs, the stepmill stairmaster is a good alternative. The treadmill is a good machine to have for those who walk for fitness. The treadmill can be used during bad weather or when you need to stay home but want to work out. If you’re unsure about which upright bike to purchase to start training, shed some weight and keep fit, the Fitleader UF2 Upright Bike is one of the best picks on the market right now. 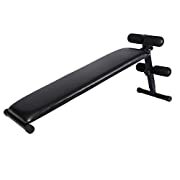 When choosing a piece of fitness equipment, it’s important to consider all aspects in relation with your goal but this machine offers pretty much everything you users may need at a excellent price. This stationary bike is solid and can accommodate users weighing up to just under 300 pounds so it’s clearly accessible to most biking enthusiasts. The seat is well designed and can be adjusted so that you can ride in total ease and comfort. The pedals on this bike were designed to accommodate all kinds of shoe sizes and emphasis was placed on safety and convenience to prevent users’ feet from slipping off the pedal during a workout and injuring themselves. This is unfortunately the most common kind of injuries associated with home upright bikes. 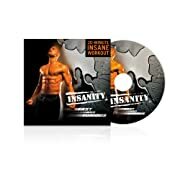 There are a total of 8 different preset programs to get you going whatever your level is. 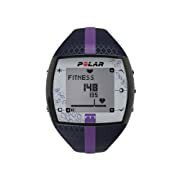 You can also select profiles that match your particular fitness requirements on the compact screen and also check your heart rate, how fast you are going, your distance as well as many more options. 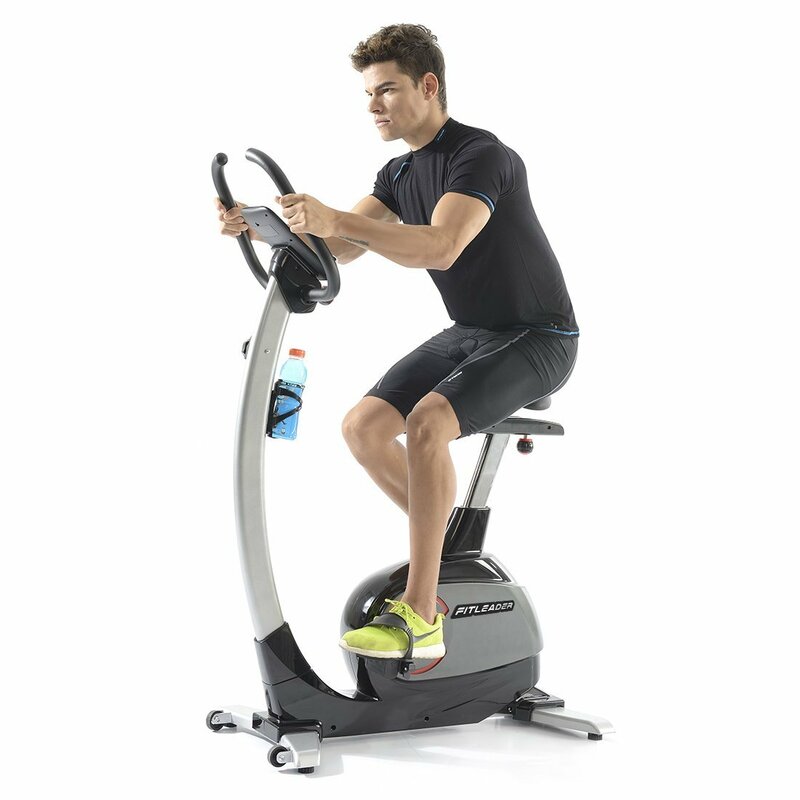 If you’re training for pleasure, losing weight or getting ready for a big race, the FitLeader Upright Bike will provide you some excellent cardiovascular and resistance training. The traction wheel fitted on this machine was developed to provide bikers with a very realistic road cycling feeling when training. It’s been so well designed by experts that users will appreciate the enhanced road-like experience. 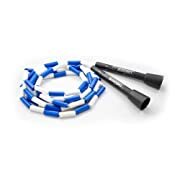 Furthermore, it is silent which will make your workout sessions much more fun than on the noisy older generation of stationary bikes. It’s also far more stable thanks to the innovative stabilizing support fitted all around the bike. The bike also has a fan to help you cope with the heat during your sessions. Some cool air is always welcome during a training sessions and even more so when you exercise hard and often. When you’ve finished your biking session, you may want to move your machine somewhere else unless you are lucky enough to have your own personal gym. If not, don’t worry because it’s got wheels to help you move it away somewhere else. Indoor upright bikes don’t take much space but you still want to be able to move it from one area to the other without having to lift it as its frame is heavy and made up of quality material. 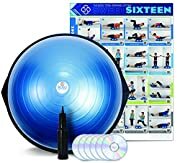 At the bottom of this page I'll feature quite a few pages of reviews about a variety of home gym equipment to help you make an informed choice of what to get when you set up your home gym. 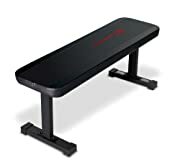 One of the most convenient ways to equip your home gym with big heavy items is for instance to buy treadmills online and get free home delivery to your door. 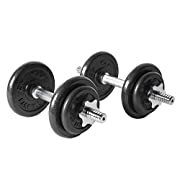 Amazon has a massive range of best selling fitness products, and you can also read the customer reviews of thousands of people who have bought the various models and share their opinions about the brands and models you see. Video game systems offer a wide range of workout and fun dance routines. Incorporate a television, DVD player and game console into your home gym for fun workouts that don't need any special equipment. 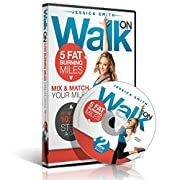 Workout DVD can be found at Amazon.com for around 10 dollars or less. The right accessories are necessary for an effective home gym. 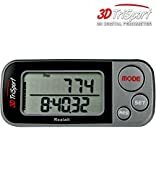 Get a heart rate monitor to help track of your target heart rate. 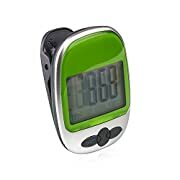 A pedometer is needed to measure your mileage on a treadmill. It doesn't matter if your home gym is in the basement or the corner of a room, decorating your home gym needs to be a place that invites you to workout and have fun. Make the home gym a part of your home. It should reflect your style while inspiring you to workout. It should make you feel invigorated and dedicated to working out. How you decorate this space can actually help you keep focused on your goal. Make your home gym design personal. Paint your walls a bright color, but make it fit your personality. Or add color with your wall with motivational gym posters and prints. Your gym needs to have walls with a strong impact on you. Yellows and oranges are stimulating colors making them great for home gyms. 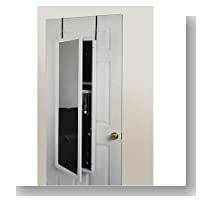 Use mirrors, either large wall or floor length, to help you do the correct form and maintain your posture. If you prefer to paint them a neutral color, try adding bright colors in accents around the room. For example, rubber flooring tiles can be purchased in a variety of colors. 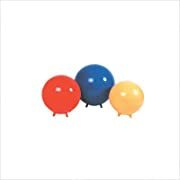 From the type of covering for your floor, such as rubber mats to your equipment needs to your wall colors, the design must to fit your needs. Dress the decor of your home gym before you add any thing. Paint the walls, install flooring and add any wall decor. Add a refrigerator to hold extra water or protein drinks. The color you use is a big consideration in any decorating scheme, maybe even more so than other rooms of your home. According to color theorists, color effects your emotions and moods. Having the wrong color will make your workout boring and can even make you tire more easily. On the other hand, bright colors, if used in excess, can make your eyes tired and lead you to be more fatigued. The best option is to think practical. One wall or accents painted a bright color contrasted with neutral colors in the rest of the room can be the right combination. A room used for yoga will need a more tranquil decorating style than a room for dance aerobics where a high energy feel is needed. 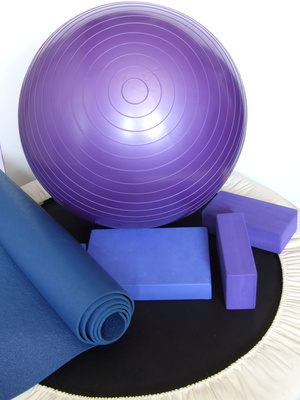 A room that will be used for multiple types of exercise may require a more neutral theme with very few accessories. It will be used as an exercise platform, a noise reducer and impact resistant surface for your heavy machines. Rubber flooring tiles fits these needs well. It is available in different thicknesses and colors and can be installed quickly and easily. There are specific tips for home gym flooring below. Add some kind of visual or auditory stimulation in your room. A work out can become boring, especially if you are alone. Provide music that you enjoy and gets you moving to help you stay motivated. A television is another option. You can watch exercise programs or catch up on the news. Motivational posters keep you stimulated as well. Consider your needs, your home gym needs to be a place that supports your exercise style. Keep your fitness goals in mind when decorating your home gym. Provide plenty of natural light for health benefits. Natural light, especially in a basement, contributes to a sense of openness. Light can also keep your home gym from being uninviting. Windows that can be opened will allow fresh air to filter into a room that can begin to smell like a gym locker during strenuous physical exercise. If natural light is unavailable, make sure you provide plenty of lighting sources that have natural light emitting bulbs. Overhead recessed lighting is the best for a home gym. Avoid hanging chandeliers. Use halogen, compact flurescent or LED Light bulbs. Cover the windows with simple window shades or blinds. Not surprisingly, the home gym wall decor brightens a space that can otherwise be dull and uninviting. Wall decor can be a major factor in motivating you during your workout. You need to get creative with wall decorations in this room. If the space is uninviting, you won't be motivated enough to want to use it. Paint one of your walls a bright orange or yellow to energize you. And hang motivational posters on your walls. Many home gyms have images of famous athletes or people with toned bodies tacked up on their walls to provide inspiration during workouts. Others prefer having photos of family and friends, especially if their goal is better health or a longer life. Photos should be hung in frames instead of simply taped to the wall. Framed images can be arranged in a pleasing way, grouped in a way that makes them relate. For instance, all the frames could be in a black mat finish or the images themselves could all be black and white. 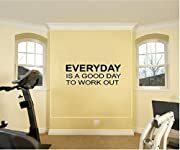 Other ideas for your home gym decor might include adding an inspirational quote along the wall. This can be either free hand painted on or wall decals. Add green or silk plants to accessorize the space. Live plants have the added benefit of cleaning the air. A small fish tank might be another option of adding brightness to the room. Candles can keep the room smelling fresh- helping mask some of that "gym" room smell. Ceiling fans will help you keep cool and flat screen TVs will help you stay motivated and focused while exercising. Home gym posters are a motivating way to inspire you to work out. Just by looking at photos or sayings that inspire you to change can make a difference in your workout. 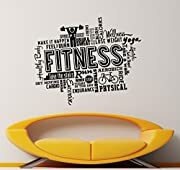 Adding posters to your home gym also helps to make the workout area more visually attractive if you buy them color co-ordinated with your decor theme. Having a motivational poster at eye level while lying on your rubber gym floor mat doing stretches is an inspiring way to work toward your goals. There are many different types and styles of motivational posters available to fit every personal style. Posters of top fitness experts inspire some to keep working hard while simple quotes and sayings work well for others. 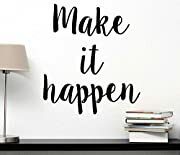 Your motivation poster might be of a place you want to go or a style of clothing you enjoy and have set your goal to be able to wear it. You can even make your own motivational collage poster. Find photos of what inspires you or what your goals are. Glue them in an arrangement on a large poster board that inspires you to reach for what you desire. Having a home gym means your form isn't as easily checked. 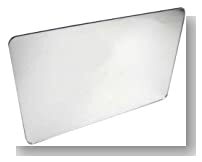 Remedy this by purchasing a low cost mirror to hang on your wall. Mirrors are necessary in your home gym design. Mirrors increase the light source and make a room feel twice as large as it actually is. 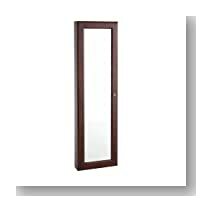 Mirrors are needed for watching yourself as you exercise to help you use the right forms while doing the moves. Why would you use mirrors in a home gym? Well, there are many good reasons you would want to have home gym mirrors. And no, it's not so you can admire your great body. Here are my top 5 reasons to use home gym mirrors. 1. Mirrors allow you to check your form. This is most likely the most important reason to have a mirror in your home gym. Without realizing it you can easily slip into bad habits when working out. 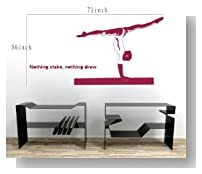 A mirror shows you if you are doing a move correctly. Incorrect movements can result in injuries and are a waste of your time. If you aren't dong the motions correctly there is no point in doing them. Incorrect form means the muscle you are targeting won't tone up as well or fast as is ideal. Bad form can lead to long term injuries and weaknesses and short term injuries that sideline you from working out while you are recovering. You won't be burning as many calories as fast as if you would if the you doing the correct motions. 2. Mirrors allow you to see behind you as well as both sides while you are working out. This can assist you with your balance and posture. You can instantly see if your tummy is tucked and your feet and shoulders are evenly spaced. Having good posture is necessary in abdominal and core work. 3. Mirrors brighten a your room. They are an excellent way to bring in more light to a dark room. 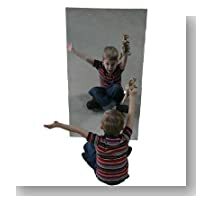 Mirrors reflect light, bouncing it back into the room. This creates a pleasant, inviting space where you will be more inclined to work out. 4. Mirrors are cheaper than hiring a trainer. A mirror allows you to make sure you are doing reps right. You will see if you are bending, cheating or cutting corners. 5. Mirrors can keep your motivated. You will actually see just how toned or pumped you are getting with each workout. You will see your muscles working. The better you start looking in a mirror, the more inspired you will become. These are just my top 5 reasons to use home gym mirrors. Mirrors help you stay motivated and keep you working out in the correct form. Being able to see how well you are doing will keep you motivated and feeling good about your fitness routine. A home gym is often located in unfinished basements or in the corner of an area with little room to move. These areas tend to be dark and damp creating an environment that is not very inviting to working out. And then when you add equipment in a haphazard way the plan to exercise becomes even less of an option. You need to learn how to design a basement home gym layout that will be inviting and flow well. Learning how to design your basement home gym layout for an inviting and motivating space begins with determining your needs. Having a home gym in the basement is ideal since the floor will support heavy equipment and weights. And the basement often has more open space so creating a home gym layout in a good sized area is easier. An area of 11 foot by 10 foot is ideal. Put rubber mats or rubber flooring rolls under heavy equipment and in any area low impact is needed. Leave a large area open for stretching and aerobics. Make sure that you have about 30 square feet so you won't be bumping into any equipment. 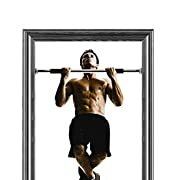 Hang pictures or posters and add color to the walls of your home gym. Color can motivate you while inspirational pictures will keep you moving. You can add color to the floors with colored rubber floor tiles. You basement home gym can be an asset to your fitness needs. With careful considerations of what equipment you need and where its placed you home gym layout can be functional and attractive. 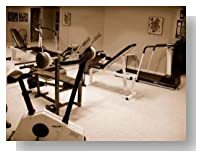 Basement home gym flooring is often whatever was placed there when the home was built. If it is concrete it can be cold and hard. Choosing the right flooring for your basement home gym will take a little research. Choosing the flooring will depend on the moisture and substrate of your existing floor. Carpeting is always an option over concrete. If using carpeting though, be sure to get one with a low pile and one that is installed in interlocking squares so that any damaged area can be easily replaced. Rubber flooring in interlocking tiles is an affordable method for a basement home gym area. They are available in a variety of sizes, colors and thicknesses. 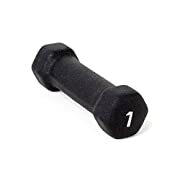 Easy and quick to install, they feel good on your joints when standing or working out on them. Concrete flooring is hard and durable and resists water better than any other type of flooring. But concrete can be cold. 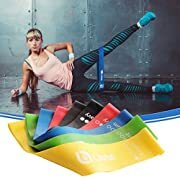 Some type of covering my be needed if you will be doing any type of aerobics or floor exercises. Sheet vinyl is an option that is versatile and can stand up to a lot of rough use. It is an all purpose floor covering that will work in your home gym if you a unsure what type of flooring you want. Laminate and hardwood flooring aren't good choices for the basement home gym, especially if you have some moisture problems. Ceramic tile is a useful choice in basement flooring. It can be inexpensive and is easy to clean. Like concrete, however, it can be cold so area rugs or rubber mats will need to be used for the gym. Whether you choose tile or rubber rolls, consider all your options before choosing your home gym basement flooring. Having quality equipment in your home gym design is important but what about the flooring underneath. Heavy equipment such as treadmills and weight machines can leave heavy marks and scratches on the floor. Rubber floor mats protect your floors surface while providing a quieter space. Do you have carpeting or wood flooring? Tile? It is a good idea to have some type of protective flooring over your wood or tile floors. Rubber floor mats or rolls work well at protecting your floors, especially if you will be using heavy work out equipment. Rubber flooring is also great for impact resistance as well. Look for options for your flooring that will last and protect your current flooring. Rubber floor tiles that snap together come in a wide variety of colors and thicknesses. Choose one that will protect your floor, especially if you plan on having heavy equipment like treadmills and weight stations. Choosing a type of flooring for your home gym should take into consideration the ease of installation. Easy to install home gym rubber flooring is one option.Here are the options in the different types of rubber flooring available. Rubber mats are very durable. They were originally created for livestock stalls to prevent slipping and falling. They are dense, with thicknesses of 3/8 inch, 1/2 inch, and 3/4 inches. They come in solid black or in colors to fit your decor. Interlocking rubber tiles are another option for basement home gym floors. These tiles are cut from rolled rubber flooring into puzzle-like shapes to fit snuggly together. These can be easily installed, removed and replaced when they become damaged. Rolled Rubber Flooring is a good option for covering a large space quickly. The rolls are usually four foot wide widths and lengths up to 70 feet. Rubber flooring rolls come in 1/8 inch thickness up to 1/2 inch thickness. The thinner product is good for under machines, but should be glued to prevent tearing. Rubber flooring for gym floors is a good option. It is easy to install, durable and long lasting. 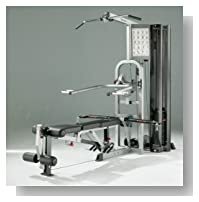 Finding the perfect machine for your exercise needs means taking the time to checkout real home gym reviews of the different machines you are interested in. In the end you goals, experience and budget will help you decide. 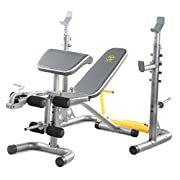 Before you purchase any exercise machines you should do some research by reading different real home gym reviews of the different machines you are interested in. Determining what equipment is needed for your fitness workout can be a complicated process. Here are my choices for the top 5 machines. 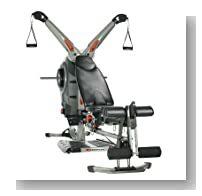 The innovative design of the Bowflex revolutions uses resistance technology called Spiralflex. These plates provide the same benefits as the traditional plate-loaded machines found in commercial gyms. Spiralflex plates are made of coiled elastic straps in plastic canisters, making them lighter than traditional weight plates. Since there are no metal parts the clanging of heavy plates is eliminated. This is a plus for those who live in an apartment or condo. The range of motion of the Bowflex revolution is smooth and the resistance is constant throughout the workout. There are over 100 workouts available with Revolution. One of the drawbacks is the unit takes up a lot of space. It measures 9 feet by 5 feet and weighs 240 pounds. 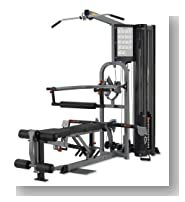 The Weider Platinum Plus Home Gym uses a unique system of digitally controlled resistance. this give you control right at your fingertips from the high-tech control panel. 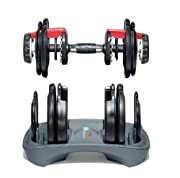 This system allows you to adjust resistance in one-pound increments. You can select workouts tailored to your abilities and goals. The digital personal trainer can even be set up for an entire fitness routine. 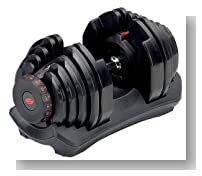 This machine allows your workouts to go faster since the quick change resistance adjustments are digitally controlled. 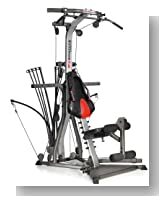 The Fitness Quest Total Gym 1100 is an inexpensive and compact machine perfect for home gyms. 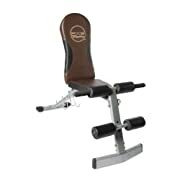 This machine consists of an ergonomic board that slides back and forth, stretching and strengthening muscles. 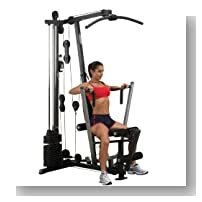 The machine delivers a good workout for both upper- and lower-body muscles and core abdominal muscles. A cardiovascular workout happens at the same time as it is toning and stretching. 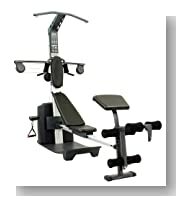 The Total Gym 1100 is lightweight at only 54 pounds and can be easily folded away for storage. 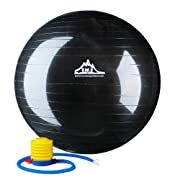 This is a good machine for beginner exercisers. 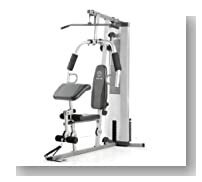 The Body Solid EXM1500S is a sturdy home gym targeted at exercisers who have limited space and limited budget. 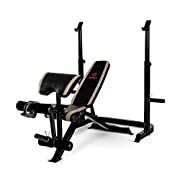 It is compact but still has stations for chest presses, seated row, leg extension and mid pulley station. 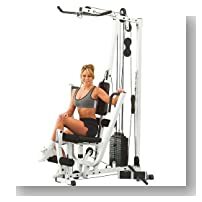 With silent and smooth operation the machine is quickly and easily adjusted to accommodate different users or exercises. This makes it ideal for the whole family to use. One drawback is the limited weight pack of 160 pounds. 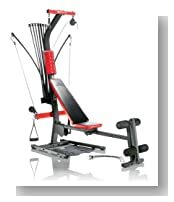 The BodyCraft K1 is designed for the serious home gym enthusiasts. 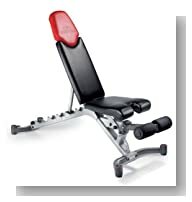 The horizontal bench requires more space but allows for greater flexibility in your workout routines. 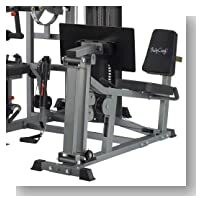 The machine is built of heavy duty steel to last for many years of workouts. The bench is easily adjusted horizontally or vertically. The steel plate weight stack offers 200 pounds of resistance. 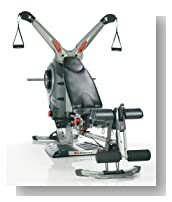 The BodyCraft K1 includes stations for upper and lower body workouts. It is a large machine, however and will take up a great deal of space in your home. 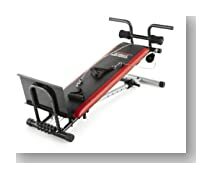 This machine is a great value for a range of challenging workouts. Elliptical training machines are fantastic if what you’re looking for is a combination of strength and endurance. When using one, you strengthen both your upper and lower body. This is also one of the best ways to lose weight rapidly, so why not indulge in one especially if you have no time to go to the gym. 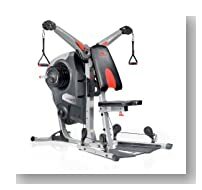 The Proform Endurance Elliptical Machine offers incredible value for money and has been rated as one of the best by users as well as professionals. The complete workout you get when you train on it is perfect if you want to progress rapidly and this whatever your fitness goal is. The strong frame ensures excellent stability. 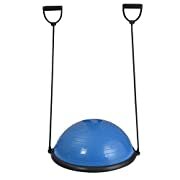 Its great and powerful silent wheel can generate a steady resistance throughout the most strenuous workouts. 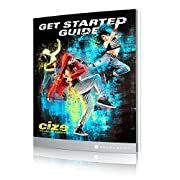 The 18 selection of training options are ideal if you have no idea where to start. Predetermined workouts are a bit like having a personal trainer at your disposal. It’s convenient if you lead a busy life. 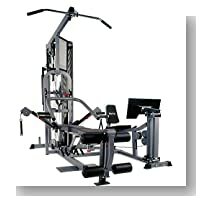 This machine is also fitted with a total of choice of both 36 resistance training levels and workout programs to help you progress rapidly. You can alternate them very easily using the handles, which will monitor your heart rate at the same time. You can go up to 20 different strides to maximize your training and the incline feature goes up can go up to 20%. It’s ideal for intermittent training and the Proform Endurance 520 Elliptical Machine can prepare you for triathlons or snow races thanks to its many options. 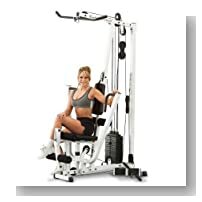 The cross trainer can welcome users weighing up to 300 pounds so almost anyone wishing to start training can use this machine safely. 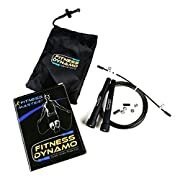 To make your session real, you’ll be able to use your iFit, which is fully compatible with this trainer. 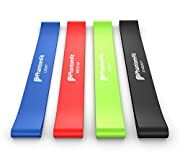 If you don’t have one, you should seriously consider purchasing as the brand has partnered with iFit and upon the purchase of one of their units, you’ll get a complimentary one-year subscription. There is modern display to give you accurate information about your performance. Whether you’re right in the middle or at the end of a session, you’ll want to check how well you’ve done. This is important especially when you’ve set yourself a particular goal. 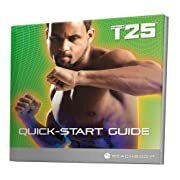 For weight loss especially, you need to keep within a certain “fat burning zone, so these data will come in handy whenever you train. Finally, if you’re new to sports and wish to embark on a fitness program, it’s always advisable to check with your physician before getting started. 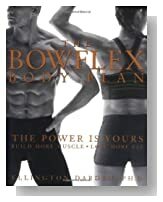 Below here I'm featuring more pages with helpful how-to-do-it tips on this DIY subject about home gym design and decorating ideas. 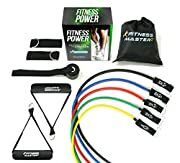 Feel free to submit your own story or article about how you set up your home gym and equipment, and I will create your own page here with your contribution for the community to read. Home Gym Posters Are a Great Decorating Accessory To Inspire Your Workouts! 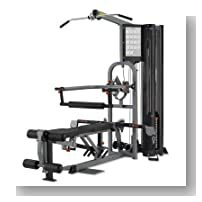 The EXM3000LPS Double Stack Home Gym is a piece of equipment for multiple users! Is it Best to Exercise At Home Or Gym? 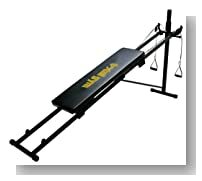 Why Buy and Use Home Fitness Equipment Like a Treadmill? Back to HOME PAGE of this home gym design and decorating ideas section of the site.